Director of film is London-based award-winning writer, director and producer James Erskine. Finally, Sachin Tendulkar gave his fans an amazing surprise by announcing the release date of his biopic, Sachin: A Billion Dreams. Since the teaser of the biopic was out on April 14, last year, Sachin’s fans were waiting for further announcements of the film based on the life of their inspiration. 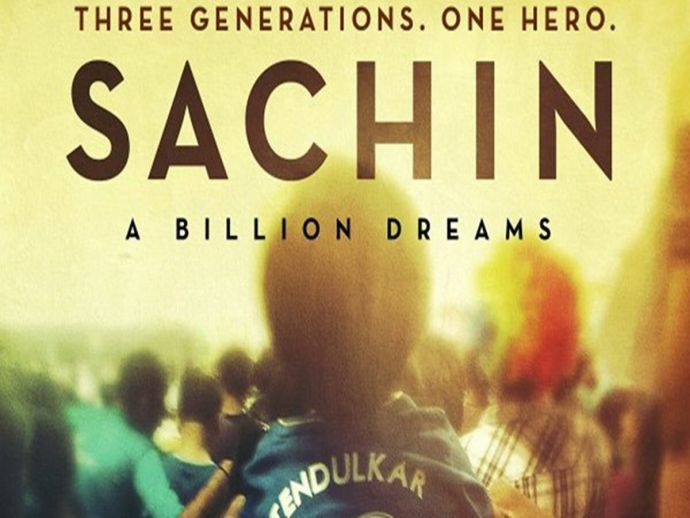 The film captures all the unseen and unheard aspects of Sachin’s life. Moreover, the icing on the cake for the fans is Sachin himself has featured in the movie. This film is directed by a London-based award-winning writer, director, and producer James Erskine. So far, there has been four posters that had been released. The first poster released by Sachin on his twitter handle went viral on the social media. Other posters were tweeted by Virender Sehwag, Yuvraj Singh, Virat Kohli, Harbhajan Singh, respectively. On Monday, Sachin took to Twitter and announced the news tweeting, "The answer to the question that everyone's asking me is here. Mark your calendars and save the date. @SachinTheFilm releases 26.05.17"